I’m bursting with excitement that the new series of the Great British Bake Off starts next week. I baked along last year and am looking forward to doing the same again. I’m in the process of lining up cake and bake tasters in my area so I’m not left eating the lot. Also means that I’m in the mood for baking but knowing that I’ll be doing a lot of that in the weeks to come I’m resisting the urge to whip up an Opera cake today. To satisfy my cake needs I’ve just defrosted some of this cake that I made a few weeks back. 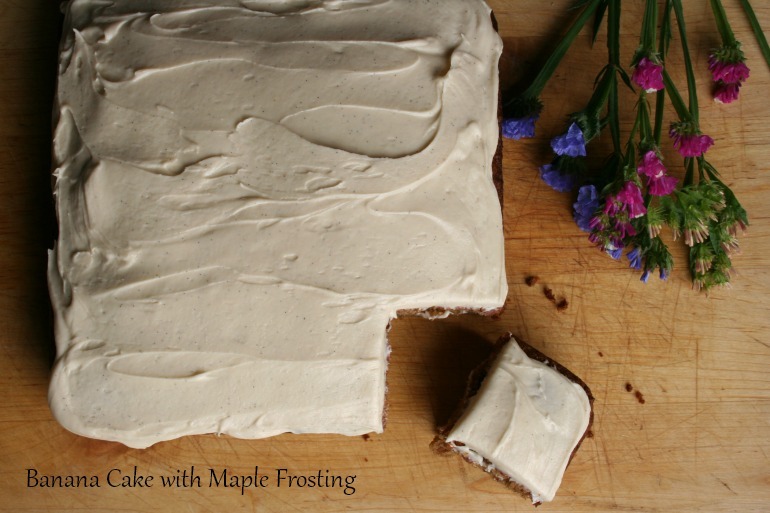 The recipe is Banana Cake with Maple Frosting from the fab food blog, supergolden bakes. 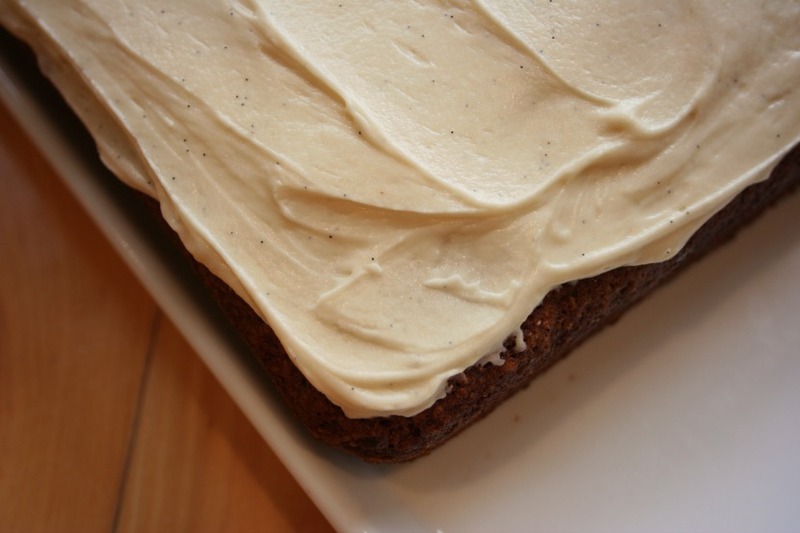 I didn’t change a thing – amazing for me – I wanted to add dates or walnuts but I resisted. I’m glad I didn’t mess with the original recipe because it was heavenly. 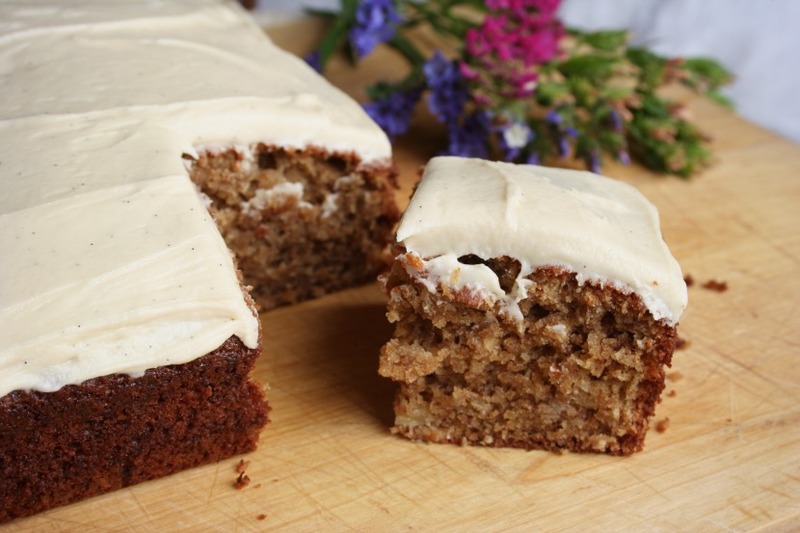 First time I’ve baked with spelt flour too and the result was super soft, moist banana cake with the most divine buttercream icing flavoured with a hint of maple syrup and vanilla. Oh and it survived the freeze and thaw, even with icing on. Win win! If you want to bake along with the GBBO as well then go check out Mummy Mishaps and get all the deets. That cake looks delicious! My mouth is watering looking at it 🙂 The bloggers bake-off sounds interesting. I might give it a whirl too and see how it goes.